I’ve been thinking lately about what I would do if I could not get my hands on any razors for shaving. Money’s tight… what happens when we can’t afford such luxuries anymore? What happens when manufacturers stop distributing coupons that often make razors free with sales? What happens if (or in my mind, more like when) the economy tanks and you can’t even find such things as razors? The thought of having to wear long sleeved shirts and long skirts year round to hide my hairiness makes me cringe. Yuck!! My mind got to thinking… there must be some homemade hair removal system that can easily be made from everyday ingredients around the home. And then I found it: Body Sugaring; also called Sugar Wax, Sugar Paste, or Halawa. It’s actually an ancient Egyptian method of hair removal that’s been used for centuries; and it seems to be making a come back! Not only is it all natural and cheap to make, but it’s much more preferred to traditional waxing for a variety of reasons. A candy thermometer is highly recommended, though I don’t have one yet, so I just winged it. Pour all of the ingredients into the saucepan, and cook over medium-high heat. Bring to a slow boil, stirring, then turn the heat to low and simmer for 25-28 minutes. Continue stirring occasionally- I’d recommend using a wooden spoon. If you have a candy thermometer, the mixture is ready when it reaches a steady 250*. Be very careful not to overcook. If it burns, or caramelizes, it will be ruined. Once you’ve reached the desired temperature and color, remove from heat and pour into a glass container with an airtight lid. Be careful, it will be very hot! Allow to cool for about an hour and a half, to room temperature. The mixture should be thick. Though it will be a little sticky, you should be able to pull out a glob and roll it into a ball in your palm, like chewing gum. I don’t think I let mine cool completely… or maybe I should have let it cook just a tad bit longer, ’cause it was still a bit too sticky to roll into a ball. 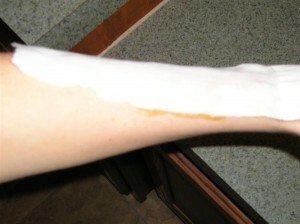 Still, I spread it over my arm in a thin, even strip, about 1/4″ thick. Apply it going the direction your hair grows, not against it. If it is the right consistency, you should be able to peel up a small edge of the paste, and pulling against the direction your hair grows, yank the whole piece off in one rip. Since mine was still a little too sticky, it would not pull off in one piece. So, I cut a strip of cloth from an old pillow case, and rubbed it over the paste on my arm. With a quick yank, I pulled the cloth off in the opposite direction from my hair’s growth. And it worked!! Smooth as a baby’s bottom! You can even re-use the same strip of wax several times over before it loses its stickiness. Apply some lotion when you are finished waxing. The cool thing about this stuff is that it easily washes away with water. I even rinsed the cloth strip I used so that I can re-use it next time. It is recommended to store the leftovers in the fridge, for up to one month. I’m thinking my paste will be the right consistency next time, after having been refrigerated. Sugar waxing works best on hair that is between 1/8″ to 1/4″ long. If it’s any shorter, it won’t be picked up by the wax. If it’s too long, it will just hurt more. Your skin must be completely dry before waxing. Don’t do it immediately after showering or working out. You may sprinkle some cornstarch or baby powder on your skin before applying the wax to help it adhere. Keep your skin smooth and free from ingrown hairs by exfoliating frequently, and moisturizing. Loofah’s work great for exfoliating. I wish you could feel how smooth my arm feels. I LOVE it!! I can’t wait to try it on my legs. After I was finished, I gave an Egyptian friend of mine a call. I recalled her telling me once that she didn’t shave; she waxed. I was curious how she did it. So when she answered her phone, I asked her if she makes her own wax, or buys it at the store. 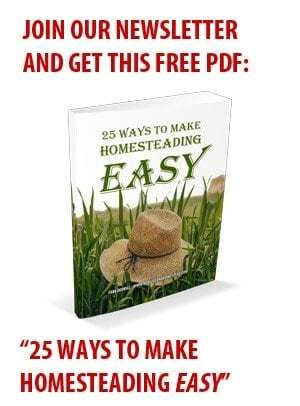 I was so surprised when she told me how she makes her own… it was exactly this recipe!! Well, actually, she doesn’t measure her ingredients, she just knows how much to use, but she used the same ingredients listed here, and the same method. She’s been doing it forever. Sure wish I’d known to ask her sooner!! So, now I’m comforted to know that I won’t have to go Sasquatch on hubby if razors become a thing of the past. Yay for homemade products! 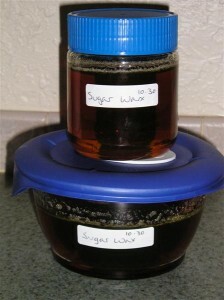 I was wondering if any of you have ever tried making this homemade sugar wax? How did it turn out? If you’ve never done it, would you consider giving it a try? Mix all the ingredients in a heavy sauce pan. Heat on med-high until it reaches a boil. Turn down to a simmer for 25 min. Stir often! Don’t rush the cooking process. You want it to cook low and slow! 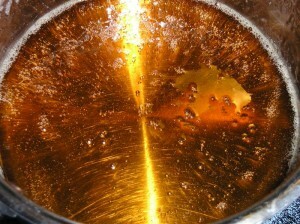 The mixture will start to turn a dark amber color. It will be ready when the thermometer reaches firm ball stage – 245-250 degrees. Let the mixture cool for 10 min. Pour into an airtight container. Be careful, it will still be really hot!! Let the mixture finish cooling. The sugar will be pretty firm at this point. You want to grab a blob and roll it into a ball and flatten. Try not to over work it. The heat from your hands can make it sticky. Press the paste onto your skin, keeping it 1/8 to 1/4 of an inch thick for easy removal. Now flick up one end and quickly pull off skin in the opposite direction of hair growth. You can keep reusing the paste until it gets too gooey. Because this is just made out of sugar and lemon juice clean up is a breeze! Just use a little water. Don’t worry if the dough doesn’t come out just right the first time. Our first try went past the firm ball stage and was a little hard (this was before we had a candy thermometer). We found it still worked if we warmed it in the microwave for 10 seconds. Another batch was undercooked so we just put it back in the pot and heated it again. If you find you prefer using strips of fabric, you can warm this recipe in the microwave and use it like our last recipe. However, once we got the hang of this recipe, we found we preferred the sugaring paste method . Okay, I’m a guy that hates hair on my body. I learned about “Persian Wax” about 12 years ago. My story as to why I started using this product is not so nice to divulge. But stared to use it none the less. I’m as straight as an arrow but still likes the feel of smooth skin, everywhere that I can reach, legs arms armpits ,etc.etc.etc. Been doing it for about 5 years and the hairs do get finer and do eventually quit growing out as profusely as when I started. Yes it started out as an experiment, now it is a habit. Your formula is exactly as I got way back when. But for an extra stretchy version add about 1 teaspoon of guar gum or 1/2 teaspoon xanthan gum to s the mixture after it’s been brought up to heat of 250 degrees F. Nice site. Can you post a video tutorial please? will this work if we don’t use lemon juice? Hi, thank you for the beautifully detailed instructions!!! Your tips and advice were perfect! I wanted to mention that any citric acid will work, even reconstituted from the powdered form. Usually citric acid in powder form can be found at Middle Eastern or Indian shops, or health food stores. Rose water works great too, but I have not tried vinegar. I’ve read that, lime juice, or vinegar will also do the trick. You don’t have to use lemon, but you do need the acid. Vinegar works just fine, in the same proportion as lemon juice. I always have white vinegar around. Yes, cider vinegar works, too. How do I reuse it? Do I need to reheat it? Once it gets too hard you’ll want to warm it up a bit. If you can soften it in a double boiler that would be best. Anyways, thank you so much for posting this resource. I can’t afford to go out and buy $25 razor refills, so this really helped. Close shave, too. I think its a very reliable and yet effective way of hair removing. I have tried it once at home but I did it without lemon. Also, the batter was not cooked properly I guess, as that didn’t served the purpose for me at all. I am surely going to try it again as per the above listed method. I can’t wait to try! How long does it last before regrowth started back? Kiki, it’s usually between 1-2 weeks for me. If you get the wax to the right consistency, you should be able to spread it on with a popsicle stick and then peel it off to remove your hair. I make homemade organic hair removal called Sugar Paste. Of all organic ingredients – Sugar in the Raw, Fresh squeezed lemon juice and purified water. Using organic sugar and fresh squeezed lemons has yielded much better results for myself and those who have used my paste. I provided the link to my Facebook page with lots of paste info and photos. I live in rural TN and we do our best to live frugally and live off the land (husband hunts, processes our meat, we have a vegetable garden half the size of a football field, we can, make tomato juice, sauce, salsa, and grow our own herbs because not only cooking..I believe whole heartedly in holistic herbal healthy lifestyle.) I, too, was tired of shaving. I’ve waxed 3 times in my life and NEVER will again. A few months ago I came across this recipe. Let me tell ya’ll I haven’t bought a razor in MONTHS and I will never shave again! great for individuals who have sensitive skin due to excema, psoriasis, diabetes or just plain ol sensitive skin because there are no harsh chemicals and sugar does not harm your skin. Waxes you buy in the store contain chemicals and hurt like a you know what! Have you ever had waxing done? Do you remember how badly it hurts? Especially…yes…the nether regions? OMG worse than childbirth! So I went to the local pharmacy (twenty minute drive to town) & she said for when I go to do down “there” use some Lidocaine.spray 30 minutes prior to pasting and make sure you let it dry completely (yes…your hairs down there need to be dry too.) Once totally dried off from spray, get corn starch or talcum and a clean bigger blush brush to wisp on the area a light layer of strarch or talcum. LET ME TELL YA (***singing like disney princess with birds landing on her out stretched arms) loving this paste! Yea it a lil discomfort but NOTHING like the excruciating pain of hot strip wax. $20.00 per 8 oz jar should last up to 2 months if used as instructed. I love sugaring! I’ve made many batches, still working on getting it just right, bought done gum Arabic, trying that tomorrow. FYI, if you’re bruising, it’s because you’re pulling UP, not OUT, toward the hair growth. What kind of container do you need to use if you’re making it in the microwave? Only glass? Could I use a regular bowl? Sarah, I would only use glass or ceramic. Good luck! Hi. I have been trying this for months now and cant get it right. I cook it in a gas stove and most the the time its too hard andcan still feel little grains of sugar in the cooked paste. Maybe its the altitude, I live about 8000 Ft above sea level. I read a comment that altitude makes a difference. The weather here its always cold (60sF) and dry most of the time. Please help! I want to get this right!!! I stumbled upon this blog about a week ago and bookmarked it so I could try this. I love the idea! I decided to tackle it today. I made it in the microwave and everything seemed to be going fine..until I started the actual hair-removal process. I wasn’t sure what the consistency of the paste should be, but mine was like warm taffy…extremely stringy and verrrrry sticky. It was getting some of the hair, but the results were very patchy and took forever. After a few hours, I got frustrated and just cleaned up. Can anyone give me any insight as to what I did wrong? 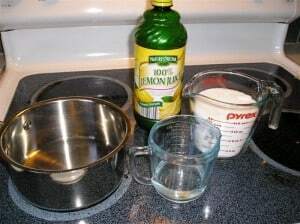 I use equal parts sugar and juice (lemon or lime…I’ve even used other citrus…they don’t LOOK the same, but they work. I’ve also read about people using vinegar instead of the juice. I’ve also made it on the stovetop and in the microwave…the microwave is a LOT faster. If you under cook it, just put it back in the pan and continue cooking it, if you’ve over cooked it slightly, you can add more liquid and cook that in (stovetop or microwave). I like it at the paste consistency, but, as long as it’s sticky, you can use it with the cloth strips…and yes, either one can be re-used until it’s no longer sticky…if you’re using the strips, rinse then and let them dry…if it’s the paste, LOL, well, that’s the part you’re rinsing out, so I just wrap it in some paper and toss it (so I don’t make the trash can all sticky and messy . Thanks for all of your tips, Dawn!!! 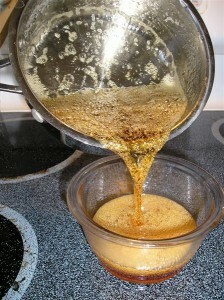 Can you make cold sugar wax without strip or warming. Just like from bare essentials? I don’t know of a recipe for that. I’ve been doing this forever.. but the results don’t last long.. any suggestions?? Maybe it depends on your hair, Mila? It always lasts for quite a while for me. I tried the sugar paste recipe yesterday, it was too runny. When I spread it on my skin and use a strip of cloth to try yank off the hair, it didn’t work. So i pour it bad into the pan added some sugar and cook some more this time the mixture turned darker color. The consistency is just a tad thicker but I tried it on my skin again same thing, doesn’t work. Is there any way I can fix my sugar paste or just discard? A lot of people have trouble getting it just right. Keep trying 🙂 It sounds like you may have needed to cook it just a tad bit longer. It should get gummy as it’s cooling. If it doesn’t, it needs to cook a little more. Ive tried this twice and what an epic fail it was BOTH times. It hardened like candy when cooled off to room temperature. It keeps getting hardened the more cooler it gets. However when its hot its completely perfect but its way too hot and I cant touch it with my bare hands. What am I doing wrong ? My only guess is that you might be letting it cook for just a tad bit too long. Maybe if you have a microwave you can try as some of the others have suggested and zap the hardened paste for a few seconds (maybe adding a teeny bit of water). Sorry it has been tricky!! Some people just seem to get it right off the bat, and some people try and try and never get it right. My attempts have been hit and miss. When you cook sugar that long (hard-ball stage @ 250 degrees), you can’t just pour the hot sugar in a bowl and let it cool on its own because it will just turn hard in the bowl and you have to heat it to use it and you end up using strips, which defeats the purpose of this type of recipe. I’ve made a stripless wax which kinda worked (I think there was too much water in the recipe because it got gummy after using it for a couple minutes), but the only reason it worked at all was because I stirred it quite often as it was cooling and then stirred constantly once it was really firming up. It turns from transparent to opaque while it’s cooling when you do this. It’s very much like making taffy. Every other time I tried cooking it that long without stirring as it cooled, the sugar turned to hard candy. I’m going to try this with a twist I’m stealing from parissa. I wasn’t sure uf I’d like waxing, so I trued and hated it. Skin is too sensitive. I’m allergic to things like bandaid adhesive! Heard about sugar “wax” so I bought a kit before deciding to tackle the homemade due to an excrutiating June heatwave. Parissa has chamomile in it, don’t know if it makes a difference over a recipe wiyhout, but besides ripping hairs from their roots, this is the most amazing skin treatment. It’s exfoliating, easy to clean, nothing but water needed to remove the residue, and it never rips off fine layers of livinh skin like the wax did the last time I used it. That sucked. And on the inner thigh above my knee, think if all thr friction that spot gets while walkin ghost around at work with an annoying wound like that. I’m going to steep a chamomile “tea” bag in the mixture until it starts to caramelize. Hey thanks so much for this tip. I tried it twice and both times it turned out like candy, really hard. Any tips? You cooked it too long 😉 It does take practice…keep trying! Maybe don’t let it get so dark next time, allow it to cool a little, and then test it to see if it can be formed into a ball in your hand. Hi Kendra, I Really Like your blog, but i have a question. I was hoping to try this recipe for prom but i am kind of scared. My prom is on the 27th of April. If i was to use it on the 20th would my upper lip still look red by Saturday, and would it still be smooth? I have been using the commercial sugaring stuff for years…Nad’s, Sally Hansen, Nair, etc. They stopped selling 12oz containers of this stuff years ago & to have to go out & buy 6oz or 4oz (whatever they are selling now in kits for $20+) is absurd. So I was looking for a recipe to make my own. I am very excited to try it, as I am on my last container of Nad’s & have been thinking of simply making my own. yes you can use limes it worked! I think that is good advice. But I am not sure of what the consistency should be on the samples. I usually run a spoonful under cold water but I am not sure of what I am looking for when I touch the cooled paste. Here’s some advice I found for getting the right consistency. Since sugaring paste is basically a candy, the highest temperature it reaches is really important for getting the right consistency. So use a candy thermometer, and take little samples out at several different temperatures. That way, you can test them all and figure out what works best for you. The temperature the sugar needs to reach changes with altitude, and presumably with how much of the liquid actually evaporated out (which may be why it’s important to cook it slowly). The ideal consistency will also depend on the temperature in your bathroom, since the paste gets thicker as it cools down, so you may even find that you need to change the cooking temperature between summer and winter to get something a little less viscous when the weather is cold. If you take out samples as you go, you can figure out how much you need to heat it without wasting a whole batch for each temperature. I hope that helps. OMG !!!! I just finished making it (its cooled off) & i tested it on my toes (those stubborn little hairs that grow on the top) & it came off clean…it hurt ( but nothing that we havent experienced before with waxing.. next i did an arm & it was less painless. Luv it. Thanks for sharing it. Yes, you are right. This Recipe and technique is very hard to master. But practice makes perfect. Just a lot of trial-and-error! Before going out and buying a new pot, I tried playing around with the temperature. Instead of doing medium-high, I did medium. Once the mixture started to boil I turned it down a little bit. Then I clipped a candy thermometer to the Pan and waited for it to reach the 250 degrees. 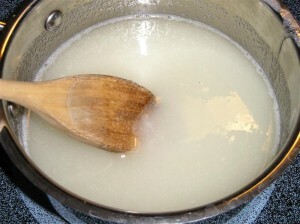 As soon as it reached that temperature I took the pot off the stove and ran a spoonful of the mixture under cold water. The consistency was perfect! I put it in the fridge for a little bit and then it was ready to use. I did have to reheat it once it became too hard, but only for five seconds in the microwave. I did add the gum to the recipe and I think that helped as well. Next thing is to master the sugaring technique. I was doing my legs and I actually got some bruises. What am I doing wrong? Maybe not stretching the skin enough or not pulling correctly. Bottom line: if you don’t have a stainless steel pot, use lower heat and use a candy thermometer. Keep posting your experiences! It helps a lot! And Kendra: I’m not gonna lie, Brazilian sugaring isn’t got everyone lol. There were some parts of it where I thought I was going to die. But it’s definitely less painful than waxing… I tried that one too and I couldn’t go beyond two spots! I actually got a Brazilian with sugar wax. Honestly, it DOES hurt. Some parts hurt more than the others, but if you are only looking at a Bikini Line, those were the least painful areas… you should try it!. It is SO worth it. I am for sure doing it again. I do not think I would be able to do my own Brazilian, but I do want to be able to make my own sugaring paste for my legs and arms. The pre-made stuff is pretty expensive, so I want to get this recipe right. I have tried it a total of 4 times now and I just can’t get it right!! Some sites say to cook it to 260 degrees, other say 250. 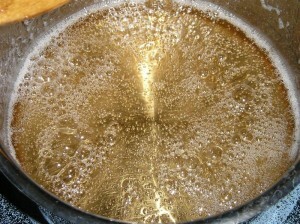 Some sites say to bring to a boil QUICKLY and others say to bring to a boil SLOWLY. Some say to stop when the mixture is a light golden color and other say to stop when the mixture is a dark red. SO MANY DIFFERENT METHODS! The first time I made it it was too sticky. The other 2 times it was too hard. The last too times it was the right consistency for a little bit, but it would refuse to spread on my skin. This last time I added the Gum Arabic and I think it helped a little. I brought it to a quick boil until it reached 255 degrees. I think the pot I am using might be the reason why I can’t get this right… but I can’t afford a stainless steel pot right now. I have just a black Teflon covered pot. Any advice? I really want to get this right!! Maybe I should cook it slower and in a low heat because of the pot I have? I don’t know. I’ve used it for the bikini are but that’s because im crazy lol! It works but be careful that your mixture is warm enough or it will not pull off cleanly! I suggest if your not use to using it in ball form to use strips! Yes it does hurt but not for very long and this is coming from someone that has never done this or any waxing before! I haven’t had much luck with this yet. I’ve made two batches, both I think I over cooked. I originally found the recipe somewhere else and they said it needed to be a ark amber color in order to be the right consistency to work with. I’m thinking mine is ending up being too dark. I was also using a non stick sauce pan…might have something to do with it. I’ve found there are two different options you can use it more of a wax or a paste. I’m going for the paste. You use the same recipe but its a different consistency. You don’t have to use strips for the paste so that’s why I’m going for that option. I’m tired of shaving, and I hate waxing its too painful for me. Especially in the bikini area. Has anyone had any luck using this for bikini area? Ran out of sugar and lemon juice so I’m just going to have to keep trying later. It’s a tricky recipe to master. I haven’t been brave enough to try it in the bikini area. Makes my eyes water just thinking about it! I’m not sure if you’ve mentioned this in the comment area, but should the paste/wax be cooled to room temp with the airtight lid on, or just in the glass container, without the lid? Strips of what do you need to pull the wax off? If you get the wax just right, you’ll be able to smear it on, let it cool for a minute, and then flick it against the hair to roll it off (removing the hair as you go). If the wax is too runny, you can smear it on and then rub a strip of cotton cloth over the top of it. Then yank the cloth up against the hair to remove. HTH! Im going to try it today and I’ll say how it works, all the comments on the page that i found it on has great comments on it. I looked up on other websites to see if i can make this in the microwave, and you can!! Same ingredients but you don’t need a thermometer. 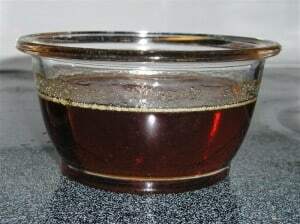 Put ingredients in to glass bowl and microwave it for 2 minutes checking every 20 to 30 minutes to stir, when done microwaving wait till paste is room temp. Then you know what to do. Hope this helped Kendra, thank you for introducing this to me! Thanks for that tip, Jenna! We don’t use/have a microwave, but I’m sure this would be good for others to know! I just made my first patch of sugar paste using your recipe and only simmered for 25 minutes. I droped it in water and it was stretchy. So I am waiting for it to cool down before I can try it on my african hairy legs. I hope it works. Will keep you updated. I’ve done this several times, all with mixed results. Paste was either under cooked, or perfect but impossible or very difficult to take out of the container, or overcooked. So I did some research and found out that some commercially made sugaring pastes use some kind of gum to keep it flexible. I tried it using gum arabic and it worked pretty well, easy to grab out of the container and solid enough to spread and flick! gona try again tonight and see what happens! Recipe is same as above, but add 2 tsp of gum arabic. i’ll let ya know how it turns out tonight! Recipe is same as above, but add 1 tsp of gum arabic. i’ll let ya know how it turns out tonight! That’s very interesting! Yeah, I’ve had very mixed results as well. Sometimes it works beautifully, and sometimes it’s a mess. I keep trying though, hoping to nail it eventually 😉 Let us know if you discover the trick! I’m an amature bodybuilder and I have to either have or wax for competitions and I use this recipe and I’ve never had any problems with it. Shaving doesn’t work for me because I always get razor burn and ingrown hairs (which do not look good on your stomach). It’s a little tricky to cook just right. I use a double layer pot, one with boiling water and them one with the sugaring recipe on top. That way it cooks slowly and there’s no chance of burning it. You have to periodically add more boiling water to the bottom pan to keep it going. It takes much longer but then you can get the temperature mor exact. Hope this helped! Does it matter if you need to cook it longer than 25 minutes to get itright? That’s fine, Natasha. Sometimes it takes longer than other times. I’ve yet to perfect sugar waxing… but I’m getting the hang of it the more I try it 🙂 Good luck! OMG!! SO GLAD I FOUND YOUR SITE!! ED A “HAND-SUGARING” RECIPE, & WITH THE SAME INGREDIENTS MY OLD ZOULLA HAD!! GOD BLESS YOU!! TO STORE IT TILL YOU CAN AGAIN USE IT. I’M GETTING OUT MY OLD CANDY THERMOMETER,POSSIBLY THIS WEEKEND, & I’LL GIVE YOUR RECIPE A TRY!! &: “APLON? ?” MAYBE I CAN HEAR FROM YOU. I’m so glad to be able to help! I’ve never heard of those products before. I hope you like this recipe. I’ve found that the trick is to cook it VERY slowly, and not to get it as dark as I did in the pictures I posted. Good luck! I used Zoulla / APLON for years. Used to buy it mail order, before the internet. I was really very disappointed when they went out of business. It was a unique product and I was so satisfied with it. I wish they’d bring it back. yep, used the Aplon years ago. Like you, I went looking for it and it was not to be found! LOVED the stuff! I tried making this stuff this weekend – and it was tricky at first. But this method is totally worth the effort. It’s cheap. I can do it at home. I’m a modest person, so I don’t have to expose my nekkid body to a stranger. I like it! I did it this weekend, too 🙂 I think the trick is to cook it SLOWLY, and definitely do not overcook it. Hi, do watch these videos if you haven’t yet. I’ve made this twice… the first time was a little over a year ago, and I was living in a dorm with a shared kitchen for the floor, so I really didn’t have the time/means to experiment completely. On the first cooking, it was way too sticky, and more of a golden color. I reheated it in the microwave for a few minutes and got it to a dark brown, and it worked as a paste. Perhaps not as well as I would have liked (maybe a little too hard), but it did work. I just re-tried it, and once again, it was too sticky on the first cooking, even though I used a thermometer and followed the above directions. This is one finicky thing! So I cooked it two more times, and it was still too sticky. Then I was about to give up, but read a comment where someone said to put a few drops in water and if it’s stretchy, it’s ready. So I cooked it again, and did that, waiting for it to become stretchy, and it works fine now. Whew! It ended up the color of molasses – almost black. I just made my first batch of sugar paste today, and at first it was too runny, but I was able to make it work with strips. I hate using strips, though, and wanted to use the spread-and-flick method, so I popped the paste back in a pot and kept cooking, and cooking, until it formed a stretchy paste after being drizzled in cold water. First, sugaring is different from wax as you put it on AGAINST the hair growth ( I know it doesn’t feel great) and you pull it off with the hair growth. This and the fact that its not so hot helps with not taking off as many skin layers with the hair. You also can go over the same spot multiple times, unlike wax. Another thing I’m going to try is to invest in a wax pot, you can get one from a beauty supply, or be really nice to your hairstylist and he/she can order you one. They are about $50-$80, sounds pricey but you can safely store unused sugar wax until you use it up and it will slowly warm it so it won’t over cook. There might even be special pots for sugaring as the temp doesn’t need to be as hot as wax. Thanks for the recipe and wish me luck! I didn’t take the time to read all the comments, but in what research I’ve done it sounds as though you are supposed to put the wax on against the hair growth and pull it off with the direction the hair grows. Sorry if that’s already been covered. So I’ve been trying this for a while now and I still can’t seem to get it right. I want to make the sugar paste, the one that does not require any strips. Have you talked to your Egyptian friend regarding that recipe? What should I do for that one. Thanks! Yeah, I know. It has taken me a half a dozen attempts before I got it right. The recipe is good, you just have to get the heat and cooking time *just* right. And you have to keep the wax warm in between strips, or else it’ll harden. I wish it was easier!! But it definitely takes practice. Maybe somebody else knows a secret I don’t know?? Unfortunately it didn’t work for me. I assume I messed up somewhere in the cooking process. I couldn’t find my candy thermometer so I just cooked it for the recommended time. I left it to cool but it completely hardened. I reheated it in the microwave but it didn’t really help much. There a couple (very small) smooth patches on my leg where the sugar actually took, but for the most part it didn’t. I couldn’t even really smooth it onto my leg because it just hardened pretty much immediately. I had to just throw it out. After I find my candy thermometer I will try it again. I really hate shaving. I can not WAIT to try this!!! Just wondering though, how long can you store it?? It’s best used fresh, as it gets hard after cooling off for long, but you can re-heat it when ready. I’d say it would be good for a week, at least. I just wanted to let you know that I put it back on the stove and cooked it until it got to 250 and left it for 8 minutes. It was really dark amber. Voila! Worked like a charm! Goodbye razor! Thanks, Kendra! Wonderful Daisy!! It’s nice to know that we don’t have to spend so much money on things we toss so frequently, isn’t it?! I love having an alternative to razors! I’m gonna work on recooking it tomorrow. I’ll let ya know! Yeah… I haven’t mastered the technique yet either. I’m gonna keep trying though. Yeah, I did. Maybe I didn’t leave it on long enough after it reached 250. I was afraid of burning it. I’ll put it back on the fire and try it again. Thanks! It’s tricky. I still haven’t gotten it right yet, though I’ve been able to use the sticky stuff smeared on with a popcicle stick and pulled off with cloth strips. My friend from Egypt who does it all the time says I’m not cooking it long enough. Keep trying! Just wanted you to know that I made this yesterday and tried it out on my legs. It seems too runny, as I couldn’t ball it up like I wanted to. Does it get better after refrigeration? I’d love to give up my razor for the new year. Thanks! I’m afraid you might not have cooked it long enough. Did you use a candy thermometer? I have never sugared, but some waxing rules may apply? Don’t apply so much at once. Removal is less painful in smaller and longer sections than pulling off a wide strip. This also makes it easier and more manageable to pull off. Never re-apply to the same area twice as you will pull off a layer of skin on the second pass. Wait a day or two and repeat then. Especially on your face as the skin is thinner around eye and other areas of you face. Thanks for the recipe! I will give it a try. Hi Everyone, I am a professional sugarist is Toronto, Ontario and I want to hand it to everyone for trying sugaring and choosing it in place of shaving, waxing, threading and lazering. It is an all natural and ancient technique that is indeed making a comeback. The great thing about it is that it is very economical and completely biodegradable. Yes you can store your sugar in the refrigerator, and if you are inexperienced, the sugar should be about room temperature. If you are a little more experience, you can pop your pot in the microwave for no more than 30 seconds. It should be the consistency of silly putty, not runny like honey or maple syrup. 1. prepare all areas you are going to be sugared by cleaning, drying and cover with talcum powder. 2. sugar smaller areas, like eyebrow, upper lip, face or under arm and use a small amount of fresh sugar paste for all small areas You can sugar your eyebrows, flicking off the sugar, then sugar your upper lip with the same sugar and flick off the sugar, then using the same sugar, sugar the underarm. When you’ve finished these small areas, deposit the ball of sugar paste on your leg and wash your hands. 3. pick up more sugar with a clean hand and with the hand full of clean sugar, pick up the ball of used sugar on your leg combining the small ball of used sugar and new sugar and now you can sugar your leg, bikini/brazililian and feet, if necessary. 4. When you are complete, dispose of your sugar ball. 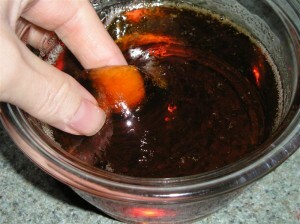 Do not dip fingers covered in used sugar into your pot of clean sugar and do not reuse the same sugar at a later date. That’s just gross. Consider it is full of hair, skin and dirt and will contaminate your pot of clean sugar and will keep it from keeping for very long. If you get stuck, sprinkle a little more talc over the outer edges of the sugar paste, pull the edges of the paste over the new talc and flick back ward very quickly, this should “unstick” you. I’m SO glad you posted this!!! I did this for a while, but then I lost the recipe and haven’t bothered to get back into it. I love it, and it’s WAY better than waxing. If you get a drip in an unintended place, the sky isn’t going to fall. You just wash it out like a piece of candy! I assume it is 250F? I cooked it too long and it was too thick. So I sprinkled little water and microwaved it. Then it was perfect. I think it can be used few times?? Making me laugh with this one. I better start hoarding more razors as rippng out hair is way too brutal for my sensitive skin- breaks out in a horrible rash every time. I took a different path back when I was younger. As I sat shaving, noting that shaving left my sensitive skin worse looking in some ways with red itchy blotches. It occurred to me to ask who decided that my legs looked better shaved and irritated than unshaven? Um, who indeed? After pondering that, I kind of got mad at my own weakness in torturing myself to meet a societal perception of acceptable beauty which if looked at without that prejudice was just wrong. My legs did not look particularly attractive either way, so why was I wasting over an hour a week of my life in this tortuous ritual? So at the age of 19, on a college campus- not during the 60’s when this was cool, but the 80’s when it was not at all acceptable, I tried not shaving my legs. At first it was easy- it was winter, LOL. I already didn’t wear hose (same deal, nylon irritated my skin) so boots and pants easily hid my hairy legs from public view. But then spring arrived and finally summer. I still recall the determination it took to walk to class that first day. Of course almost no one noticed, but as someone did and commented, they quickly got a lesson in unquestioning slavery to societal expectations, etc, etc. I admit the rest of me was attractive enough at that age to carry off a few detractions like this, had I been less blessed, maybe I couldn’t have been as strong. But I appreciate the whole experience. In some ways that small step defined who I became and the path I took in life, to not blindly accept things just because the crowd does it. I didn’t shave for about 15 years. Once a counselor said he found me intimidating because I didn’t shave my legs! Perhaps that had been weeding out the weak men in my life, as I had never had one not be attracted to the over-all package in spite of the unshaven legs. Other women were more put off. Baby smooth skin is definitely a different sensual feeling. You can’t hedge this one either- half grown hair is uncomfortable, where fully grown hair is soft. I eventually started shaving some to mark a change in my life and a realization that you can become just as enslaved to the image you create for yourself. Now I can take it or leave it. A lack of razors will not cause me undue stress should the economy deteriorate to that degree. At that point, I daresay that much white sugar will be too valuable a source of calories and luxury that I wouldn’t waste it on my legs, when I could put it in my tea. 😉 Instead might I suggest you google sharpening disposable razors, I have tried the method where you use your arm like a razor strop and it worked pretty well- better on the really cheap ones, rather than the replaceable head ones. Wow, Caroline!! You’re a brave woman!! Great tip about sharpening razors! I never thought of that! I wonder how often you have to do it. I’d love to get rid of my razor forever! I hope someone will let us know. daisy- supposedly when you use this method, your hair grows back finer and finer. It will last several weeks. I´m from finland and I stumbled on your Blog when I was looking for Cheese press. I was wondering, can I translate some of your recipes in finnish to my own blog. I will ofcourse mention your blog! Of course you can share my recipes!! I’m honored, and so glad you found me!! Do you have to reheat the mixture somehow after its been refrigerated or does body heat do it naturally? And when you say that the same piece of wax can be used again…I’m assuming you store it separately? Bring it back to room temperature, and then you can pinch off a ball of the refrigerated stuff, and roll it in your palm to warm it. You can microwave it, but it will be runny and you’ll have to use a cloth strip like I did, which is fine if you wanna do it that way. When I say you can use the same piece over, I mean you can stretch a ball of it over your skin, pull it off, smooth it over another part of your arm, pull it off, etc. until it’s not sticky anymore. Then you would toss it, and get a fresh piece. Make sense? Great questions! Yes, I did that, years ago. I was in Egypt (long story…), and an Egyptian lady showed me how to do this. Her advice was to VERY lightly oil a marble slab (or something like that – back of a cookie sheet works, too) and pour the mix on it and let it cool. If not the right consistency, return to the pot and boil a little more. she has a post on reuseable canning lids that if you haven’t already seen, I think you might enjoy…you might have to scroll down a bit on her blog. Hope you are well! Praying for a new job! Do you think this would work on eyebrows and upper lip? Katie, YES! It will work on your face 🙂 And it’s much gentler than traditional waxing!